Unique integrated 3D simulator allows users to simulate assay execution before moving to the real hardware. Powerful scheduling features, detailed event recording, full labware tracking and intuitive error handling combine to create a first class scheduler solution. Easy to use, easy to setup and easy to add new instruments. Support with direct access to developers. 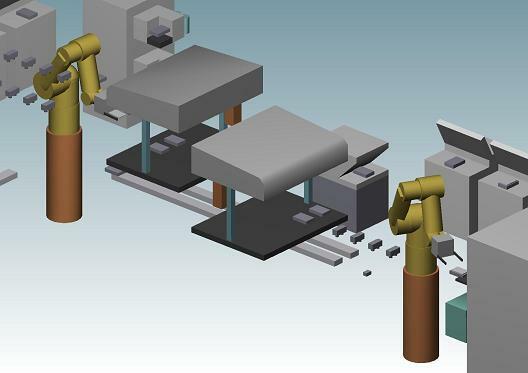 Revolution's unique 3D simulator allows you to build a 3D replica of your new or existing automation system. This is done by just dragging and dropping instruments into the simulator. You can then run Revolution and watch the real time 3D simulation of your system. 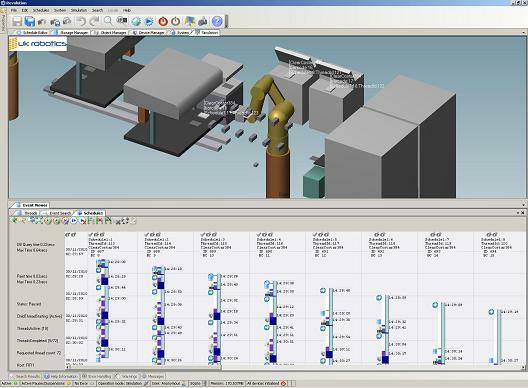 This allows you to study throughput and alter your system design to eliminate bottlenecks. Please contact us for more information.